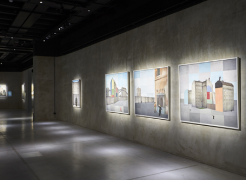 Giorgio Armani’s next exhibition at his Silos space in Milan shines the light on works by Italian artist Paolo Ventura. 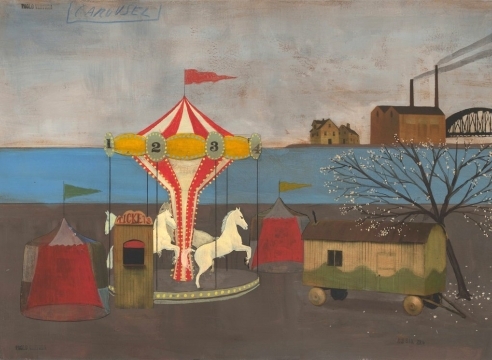 “Imaginary Tales,” which runs from Wednesday until July 29, is comprised of about 100 works ranging from photographs and paintings to set designs that revisit reality with a fairy-tale, dream-like streak. 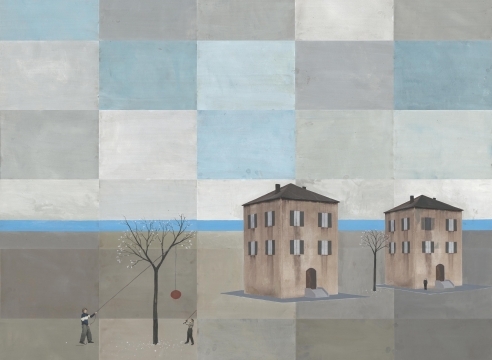 For this exhibition at the Armani/Silos, Paolo Ventura tells the story of an imaginary world, where different forms of expression are the means to transform dreams into reality. ‘Racconti Immaginari’ is an anthology featuring over a hundred works – between photos, objects, set designs and installations – carefully selected by the eclectic photographer to represent his artistic evolution. After graduating from the Dutch Film Academy in 1979, Erik van Empel moved more and more towards documentary filmmaking as a cameraman. Established with many international awards he has shot over 100 documentaries. 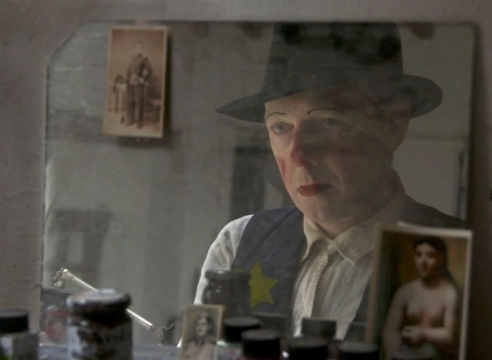 Absorbed with cinematic images in his mind, he decided 14 years ago to direct a film by himself. 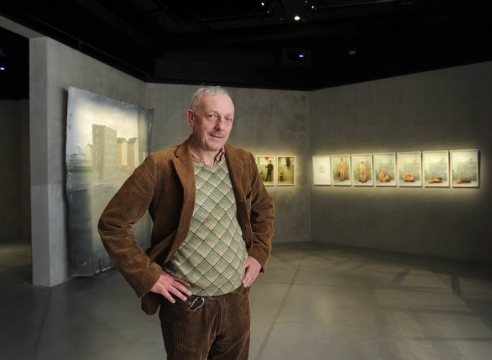 Now with his third documentary ‘Paolo Ventura, Vanishing Man’ (2015), he won the prestigious Prix Italia. ‘Paolo Ventura, Vanishing Man,’ shows how an Italian artist creates his own timeless melancholic world in a barn on an abandoned mountaintop in Italy. With paint, cardboard, and relics of a human life, he resonates his childhood’s memories and isolation by giving himself and found objects a new magical life. 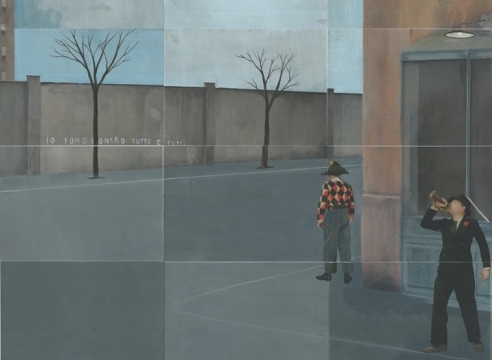 In subject matter, if nothing else, the Italian collagist Paolo Ventura resembles his compatriot Giorgio de Chirico. 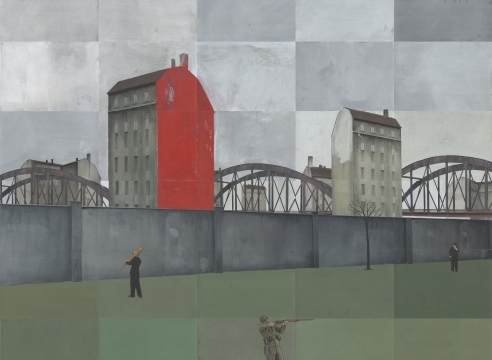 Both artists depict small human figures against large, and largely empty, cityscapes. And they both have a deep interest in the relationship between the human figure and space. But where de Chirico’s famous paintings, like The Enigma of Arrival, are openly melancholic, Ventura approaches his subject sideways: peopling his works with clowns and musicians, rendering his skies in deceptive, almost innocently light hues. It’s like watching a comedy acted on a surrealist stage-set. In his new series “Eclipse," Paolo Ventura continues his exploration of memory, history and narrative using the tools of photography, painting and the stage. The series is on view in his first show at Edwynn Houk Gallery in New York City, which runs until November 11. The series includes many of the same characters and types that have appeared in Ventura’s work for years—a clown, a soldier, a man in a sharp suit, a romantic couple, often played by a cast that includes Ventura himself, his twin brother, his son and his wife. The images are set in an eerily empty, urban landscape that recalls Europe in the 1940s, a time and place Ventura knew from stories his grandmother told about living in the Italian countryside during World War II. 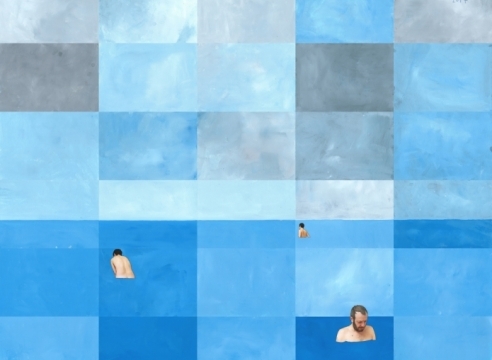 Edwynn Houk Gallery presents Paolo Ventura’s works at their New York venue. Ventura, an Italian photographer, is best known for constructing and photographing stylized dioramas to tell visual stories with a cinematic quality. Most of his works lie in the intersection of fantasy and nostalgia, and he creates scenes that evoke the past in a way that is rich, dream-like, and occasionally surreal. There is a narrative quality about the works that is also seen in the current exhibit that the artist brings up in stories; he clearly seems to have a natural gift for narrative. All of his pictures have their own little mystery, a bombardment of character and atmosphere. "There was a line at the ski lift," begins Italo Calvino's fiction story in The New Yorker. 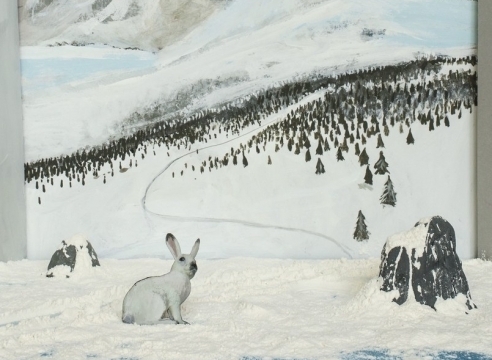 Paolo Ventura's photograph of a white rabbit, in a hand-made set of a snowy mountaintop that Ventura builds and paints himself, accompanies the story. Not knowing much about one of American musical theater's touchstone works turned out to be an asset for Paolo Ventura, who is making his theatrical debut in the Lyric Opera of Chicago's production of "Carousel," a dark musical about a romance between a carnival barker and a young mill worker in a small New England town.